Correctly supplied goods cannot be returned. 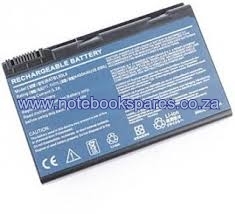 notebookspares is a service based company, and naturally charges for the services levied. When an order is cancelled or returned for credit, only the value of the item can be credited. As part of our no hidden costs policy. Once an order or an item is cancelled, the funds credited (please see credits)are immediately made available to use on future orders, if however you prefer that we refund the original payment (either to the bank account or credit card originally used) please request this via our CONTACT US page. You will need to complete and return a refund form. For forms received by notebookspares.co.za before the 13th of each month refunds are processed on the 15th (next working day if 15th is a holiday/weekend). Forms received between the 14th and the 28th of the month are processed on the last day of the month (next working day if the last day is a holiday/weekend). All approved refunds carry a 30% charge if correct part ordered was delivered. This is to cover costs incurred. To Current/Savings accounts: Nedbank immediately. Other banks: Up to two business days. To credit card: approximately 2 – 10 business days. All items delivered overnight courier service(Mon-Fri) within South Africa only.